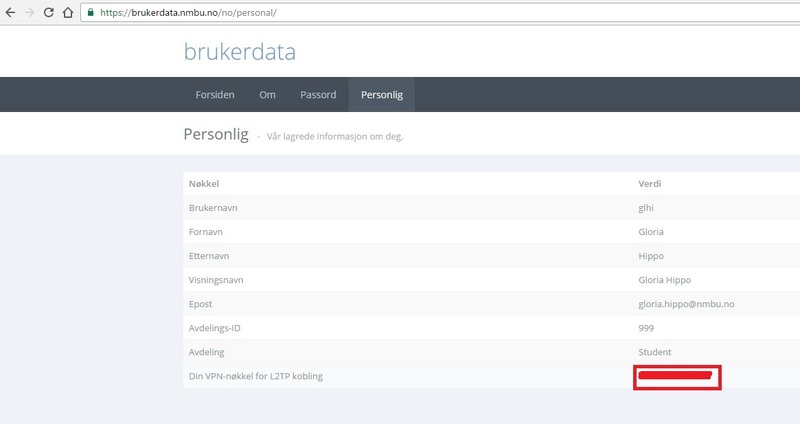 Alter the information in the fields marked in red below, where you’ll have to change the brukernavn(username) with your own username at NMBU followed by @nmbu.no. 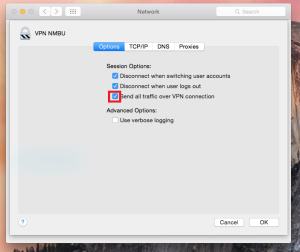 (example: glhi@nmbu.no) Afterwards you should mark the option to show the vpn status in your menu bar. 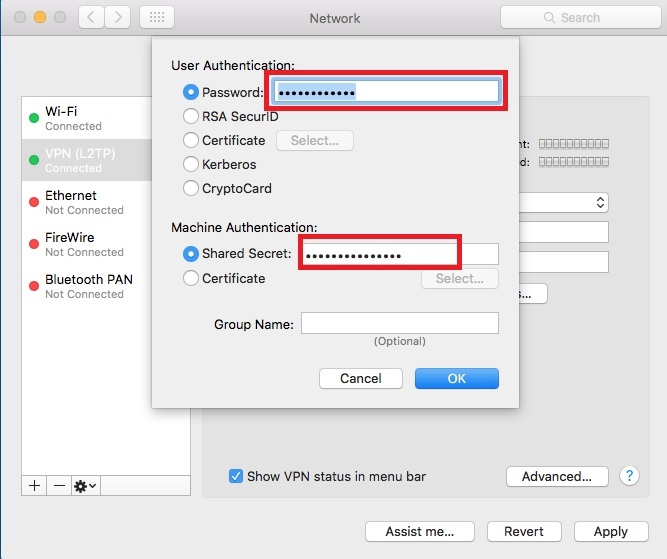 After doing so click on the Authenfication Settings (1) and Advanced Settings (2) and follow the instructions in the images shown below. 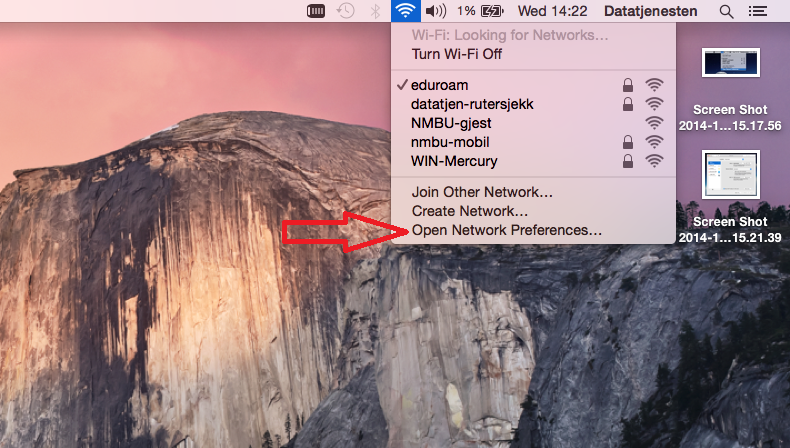 Click Apply in this window after you’ve completed 1-2 and Connect. 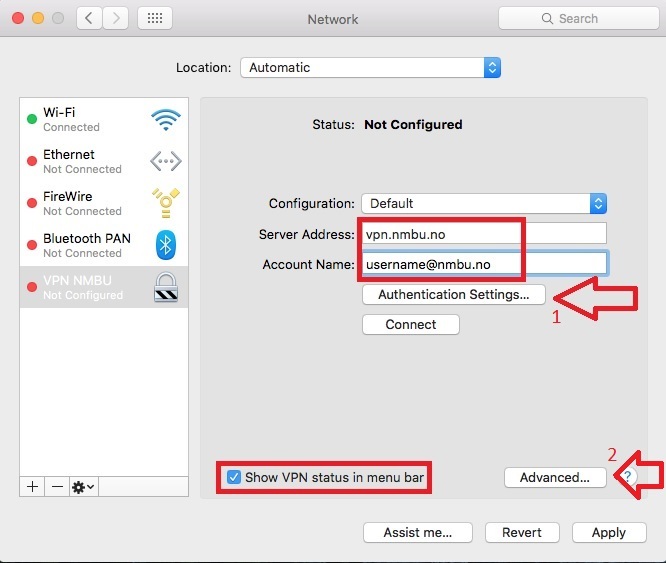 * Go to: brukerdata.nmbu.no and log in with your username and password (same as Canvas, etc.). 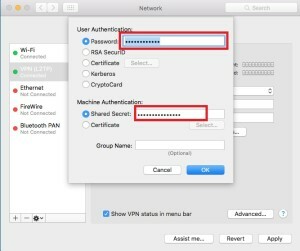 It’s important that you log in with your username and password (not with a one-time password) to access the shared secret password. 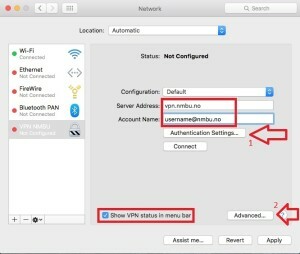 (2) Advanced settings button gives you the option to mark that you want to send information over the vpn connection. 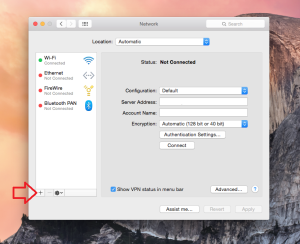 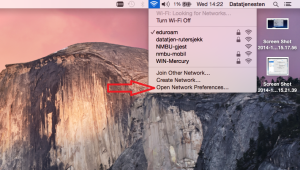 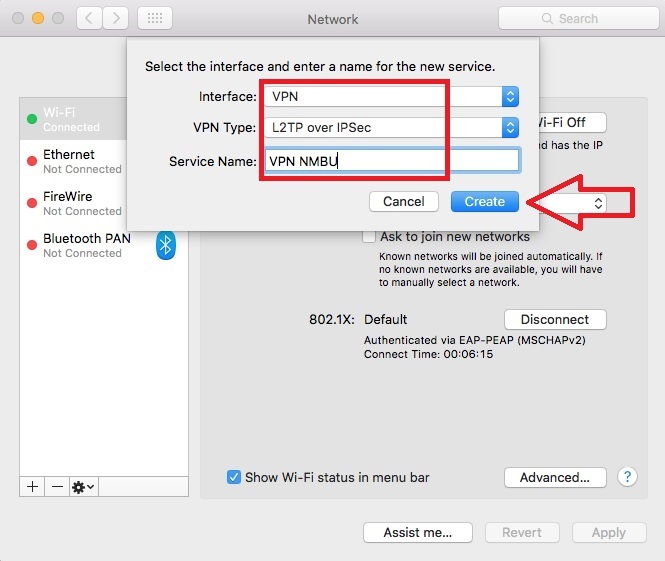 Mark it like shown in the image and press ok.
After you have clicked apply in the previous window you will have the option to set on/off your vpn connection in the the top menubar by clicking the icon shown below. 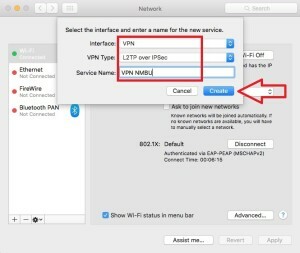 Notice that you will have to have an active internet connection for vpn to work. This entry was posted in IT-documentation and tagged VPN on December 3, 2014 by Adrian Stjern. 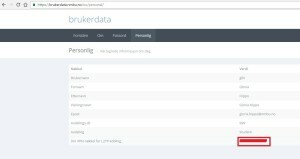 Pay attention to the language you are viewing. 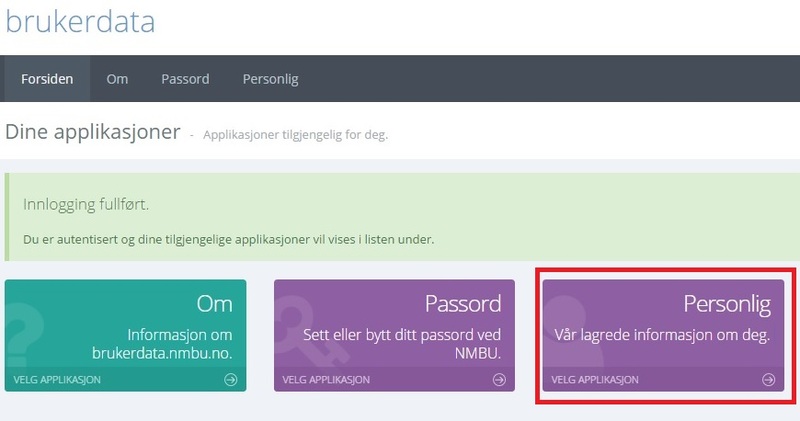 A search will only be matched against this language. 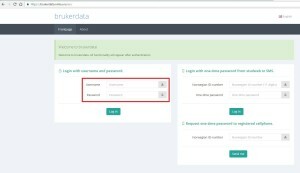 Authentication only necessary for editing content. 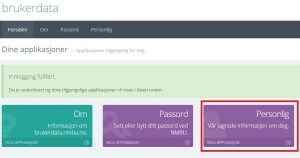 Contact your IT-ansvarlig if errors.